Let’s face it, there’s quite a few of us out there who really struggle to come up with flavoursome nutritionally balanced meals - particularly in the evening after a long day. Hunger takes over and a pasta and sauce dish which is ready in minutes involving little preparation wins! 1. Boil the pasta with peas or beans and sweetcorn. 2. Drain when cooked and add tomatoes, mushrooms, sardines or tuna and return to the heat stirring until cooked through. 1. Rinse and drain chickpeas. Add to saucepan with all ingredients except the spinach. 2. 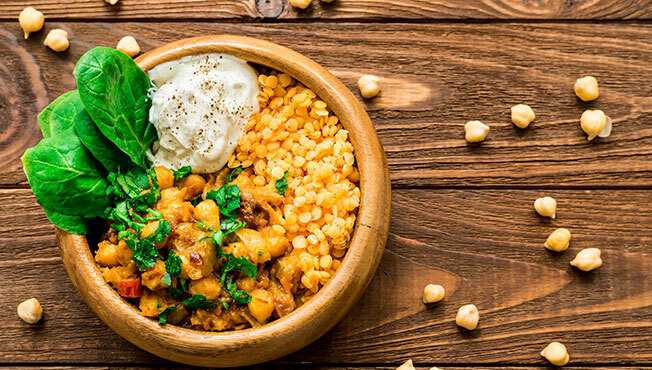 Cook for 15 minutes until chickpeas are cooked through, then add spinach cooking for further 2 minutes until spinach reduces in size. 2. Whilst your bread is toasting, drain the sardines and mash in a bowl. 4. When toast is done layer mashed avocado onto toast and then add mashed sardines. 1. Stir fry vegetables until almost cooked. 2. Whisk eggs and add to vegetables. 3. 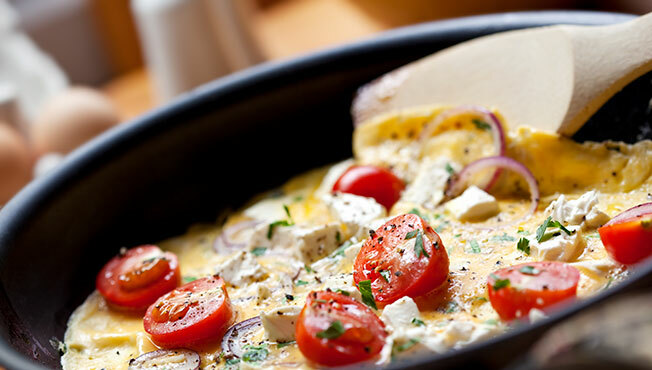 Grate cheese on top and cook at moderate heat without overcooking base. 1. Wash your salmon fillet. 2. Place on a baking tray and bake in the oven for 10 minutes at 180 degrees. 3. Whilst salmon is baking, add stir-fry vegetables to wok and cook or plate salad. 4. Serve all with soy sauce as dressing. 1. Peel and chop potatoes and boil until ready to mash. 2. Mash potatoes then add rest of ingredients mixing well. 3. Mayonnaise is optional depending on consistency of mash. If the mixture is too dry, then add mayonnaise to help bind ingredients. 4. Take large handful size amounts of mixed ingredients and form into fishcake shape. 5. 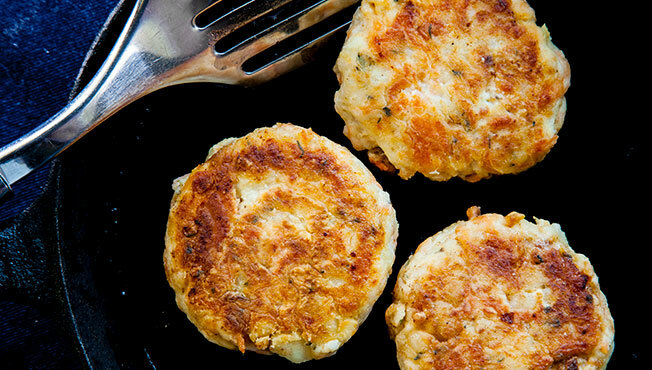 Place fishcakes on plate and leave in fridge for 15 minutes to cool (this will help them keep their shape when cooking). 6. When ready to cook dip each fishcake on both sides in the beaten egg and then in breadcrumbs. 7. Heat oil in frying pan and when very hot add fishcakes to pan cooking approximately 5 minutes on each side. 1. Add all ingredients to saucepan (except lettuce) and cook for 15 to 20 minutes. 2. When ingredients are cooked through serve in cos leaves and wrap the lettuce leaves into taco style. For more recipes, tips, and resources to help you promote your physical wellbeing, visit CABA's physical wellbeing microsite.